Solar Twin Cities is a grassroots residential and commercial group purchasing program for solar. If you have been thinking about going solar, now is a great time to act! Great News! 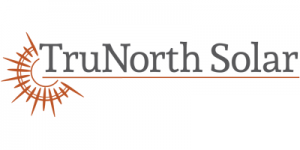 Due to strong interest in Solar Twin Cities, all participants that have signed contracts with TruNorth Solar to go solar will receive a $.30/watt off the contracted price of their system! 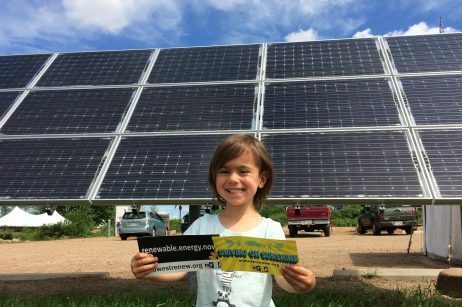 We are down to our final 5 days to participate in Solar Twin Cities! The deadline to sign a contract is Friday, December 14, 2018! If you have a proposal and are interested in going solar, please contact the TruNorth Solar team to assist you! Thursday, November 28, 2018 is the deadline to sign a contract with TruNorth Solar to install solar PV on your Minneapolis home or business AND be included in the MREA Group Buy Program application to the City of Minneapolis – Solar Cost Share Incentive Program. Great news! The Solar Twin Cities 100 kW Milestone has been reached! This means, if you signed a contract with TruNorth Solar to go solar, you will receive a $.20/watt rebate of the cost of your solar PV system! If you received a proposal or are in the queue to receive one, you too can benefit from the $.20/watt rebate if your decide to go solar! With more than 130 kW in delivered proposal under consideration and more to be delivered, the 200 kW milestone ($.30/watt rebate) is in sight! 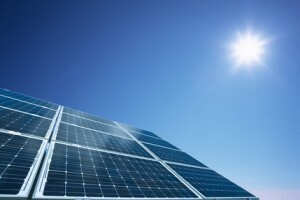 Is now the time for your family or business to go solar? You still have time to act! All who registered before October 31, 2018 – but have not received a customized solar proposal from TruNorth Solar you still have time! All who registered and received a proposal before October 31, 2018 – the MREA has sent an email to each of you providing you with additional information titled “Solar Twin Cities Group Buy Rebate Update! As of October 31st, the opportunity to register to receive a no-cost solar site assessment and customized proposal has officially ended. As of October 23rd, the 50kW Milestone was achieved. This means all program participants will receive a $.10/watt rebate of the cost of their solar PV array! Simply through the power of group purchasing costs are driven down for all program participants based upon which milestones highlighted below are reached. The Solar Twin Cities Program Progress Dashboard (see above) will keep you informed about which milestones have been reached and the how much your per watt rebate will be! Offered by The Midwest Renewable Energy Association (MREA) for homeowners, nonprofits, and commercial property owners across the Twin Cities metro. Program participants are being given the opportunity to aggregate their solar purchase power to achieve program milestones that result in rebates that make solar more affordable. MREA hosted 15 FREE Solar Power Hour information sessions with support from communities including the City of Eden Prairie, Oakdale, Maplewood, Minneapolis, Minnetonka, Plymouth, Richfield, Roseville, St Louis Park, White Bear Lake, and the City of Woodbury. At the Solar Power Hours attendees learned about the basics of solar, its financial implications, available incentives, and how the Solar Twin Cities group purchasing program works. Those interested were offered a chance to get a free no obligation solar site assessment from our installer, TruNorth Solar. In addition, the Center for Energy and Environment (CEE) shared helpful information about opportunities to improve energy efficiency and financing options during the Solar Power Hours. Help grow solar in your community with resources from our MEDIA KIT. Partial funding for this project was provided by Clean Energy Resource Teams (CERTs). Learn more about CERTs at www.mncerts.org.